I should probably re-read this book. In fact, from what I understand I should probably read and then re-read a good deal of Gene Wolfe‘s work. There’s a lot of it that I haven’t bothered to pick up at all, but the attention he pays to the construction of his novels is something from which I stand to learn a great deal. It’s no surprise, then, that The Sorcerer’s House is a slowly unfolding marvel of consistent inconsistency, even on my first read-through. And what the devil do I mean by that? I’ll start with the narrator. We are treated to the sometimes pleasing, sometimes grating prose of one Baxter “Bax” Dunn, as the entire story is told through the lens of his letters (with the addition of a few letters that were sent to him). It is an epistolary, and as such we are entirely at the mercy of Bax’s representation of events as he begins to deal with moving into (squatting in, really) what appears to be a supernaturally expanding house. But one of the few things that we know of Bax is that he was recently released from prison after being convicted for fraud. There are other confounding factors at play as well, hinted at but generally sidelined as being of little relative importance, but I’ll leave those for you to discover when you read the book. Suffice to say that the narrator is tremendously unreliable, to the extent that I’m not sure how much of the book actually happened (I’m certainly unsure how much happened as he represented it, and I think I’ve caught at least one lie). As if that wasn’t enough, he often walks forward or back through the course of events until you’re working hard just to keep the timeline straight in your head. On a similar note, I’m impressed by how palatable Wolfe manages to make a character I so grew to dislike. Dislike might be the wrong word for it; there were so many things about Bax which I found so unlikeable or frustrating, but he exuded such amiable bonhomie that I found it difficult to hate him for very long, as he’s perhaps the very definition of sleazy but charming. I can only imagine it was second nature to him. The fact that I’m able to tell you all of this about Bax is part of what I so admire about Gene Wolfe. There’s a great deal more to say about this, but as per usual I’m going to segregate the spoilers. So for my pre-final closing thoughts, or whatever you call this bit, I just want to say that this is a fascinating read even if you don’t end up liking Bax very much. And if you can deal with the several-decades-old gender relations. This book came highly recommended, and it seems only appropriate to pass on the favor to you. It’s not a long read, nor is it a difficult one, and I can’t say that the ending came as much of a surprise to me… but I simply loved reading it. 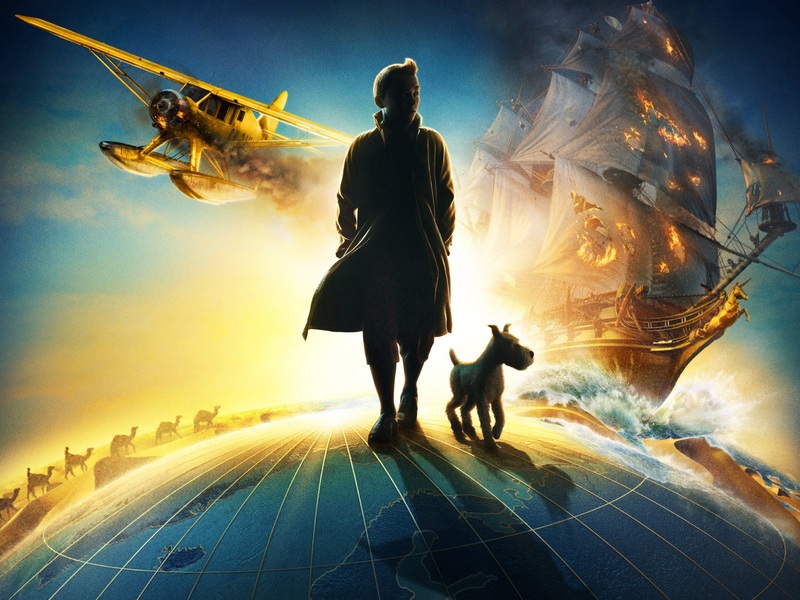 It felt both extremely real and wonderfully thought out; it contained a loving homage to another children’s novel which I adore, and yet was clearly its own story, laid out as a puzzle with all of the pieces lying there right before your eyes, waiting for you to put them together. You know, usually I’m able to talk about a story without giving away any spoilers that I think will unduly influence your understanding of the book. Or else I’m able to sequester all of the relevant spoilers in a place just for those who’ve already read it or are willing to spoil themselves. But this time I think I have to leave it be. I’ll even say that you shouldn’t bother reading the dust jacket’s inner flaps. Just pick up the book. I doubt you’ll take more than two days to read it, and you could probably go through it in an afternoon if you had the time. There’s something too good to spoil about following the narrator’s journey as she slowly tells us how it is that she pieced together the puzzle, and I’m impressed with the narrator’s consistency as she reflects back on the events she describes in the book. It’s a skillfully told story, and I hope that you’ll take my word for it and pick it up. 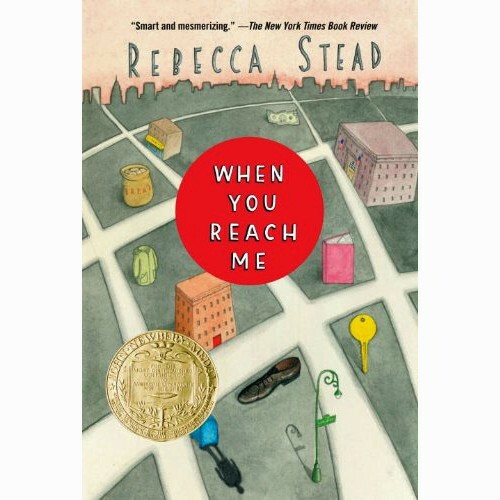 Find it here at Rebecca Stead‘s website, or find it at your local library! On the 11th I posted the first of my background pieces on the Elven Progenitors setting. Now I’ve got more material for you. Last time I covered city names, the names of bodies of water, the basics of city-states, mother-daughter city relations, Elf-home, the Northmen, and the return of slavery. I still need to talk about the divisions amongst the elves, the cold war, where people get their slaves, why orcs aren’t fighting everyone all the time (and whom they are fighting), the alternative flora and fauna, and maybe something about the Elven Republic. But there’s no way I’m going to cover all that, so I’ll settle for telling you a bit more about elves. But to whet your appetite, first, the original conceit of the setting; then a brief background on how much of the world has been explored and settled. The original conceit of the setting, when I was first developing it with my brother for a series of quick adventures that we wanted to play (yes, it started as an RPG setting), was that we were playing in an alternate version of our own world. While we didn’t want there to be any magic as most people would recognize it, we did decide to switch things up when it came to evolution, and I’ve used “artistic license” (i.e. unrealistic lies) to hand wave past a few of the problems which follow. Specifically, the first sapients to evolve were what we would call elves, and they bred all of the other races of sapients in addition to making some awkward accidents along the way. I know that this doesn’t make much sense when it comes to an evolutionary time-scale (except for the part where elves are actually long-lived enough to breed other species meaningfully), but if you’ll ignore that problem and accept that elves can effectively do magical things with breeding then I suspect you’ll enjoy what follows. At the time of the great war, elves and their various subject races had cities in Elf-home (Africa), Europe, and western, central, and southern Asia. A select few elves had performed extensive studies of ocean currents and hypothesized the existence of a land mass to the west of Europe, though with the outbreak of civil war they kept this knowledge secret. They worried that access to the resources of an entirely new continent would represent a dangerously unbalancing factor in the war, and could only lead to further suffering. They were also concerned that, if a peace settlement were achieved, the struggle to settle in the New World would re-ignite the civil war. Therefore, unbeknownst to those fighting the great war, they repurposed a breeding project which had been sidelined by the war and used it to develop a self-replicating massive area denial bioweapon; as more of their fears about the conflict came to pass, and it seemed clear that allowing either side to spread to the New World would only exacerbate the civil war, they deployed their weapon in the New World to prevent exactly that. Not today, but tomorrow with a little bit of luck. I’ve got a lot more for you, mostly dealing with elves despite the fact that they’re quite rare in my stories of the setting thus far. It turns out that the setting is called Elven Progenitors for a good reason, and nearly all of the background politics has its basis in the conflicts of the elves. So, look here tomorrow for more information on the setting background, and if you haven’t read my short stories you should go do that while you wait. Here’s a link to the first background post, and here are links to Paying the Tab, Jerome Goes North, Jerome’s Tropical Vacation, A Simple Misunderstanding, and Rum Luck. My apologies for prolonging the wait, I’ll have more for you soon. That’s definitely falling with style. We can probably all agree that wingsuit flying looks both insane and intriguing. It’s not something that I think I’d be comfortable with doing, but I’m happy to watch other people throw themselves off cliffs and then whizz along at supremely high speeds in their flying-squirrel suits. Why don’t I want to do the same? Mostly because it scares the crap out of me. Like I said, it’s a Buzz Lightyear Simulator, all about learning how to fall with style. The body-mechanics based control scheme gives an extremely fine sense of control, and the game requires you to learn it well. Turbulence and wind will buffet you relentlessly, and maintaining awareness of your control surfaces is both crucial and difficult. Case in point, I spent my first fifteen or so runs crashing into the ground with more or less success, never quite getting the hang of what it took to stay airborne while I fiddled repeatedly with my mouse sensitivity. The game’s splash screen suggests that you use a controller and I’m inclined to say that I agree, though I’ve yet to test how much easier that makes things. That said, something just clicked for me around run twenty, and suddenly I was able to soar. I’m still getting better, pushing my close proximity runs to the limit as I learn how better to deal with the vagaries of a rapidly shifting landscape flashing by beneath me. This game isn’t deep, and it offers you only as much challenge as you decide to set for yourself, but it offers an almost meditative experience as you plummet towards the ground and then zoom off at a breakneck pace. So, if you want a playground in the sky, check out Volo Airsport. N.b. There’s no normal starting menu: you need to press escape in order to bring up the menu interface, which contains a grand pile of options for you to adjust as well as adaptable key-bindings. Reading up on all of that has left me thinking about the conflicts and strange bedfellows of my own fictional settings, and particularly the one that I’ve been calling Elven Progenitors (EP). It’s not a very catchy title for a setting, I know, but it’s the only name I’ve got at the moment. At least it’s distinct? I don’t want to explain all of the background of the setting in one go, but I thought I should talk about some of the ways in which it differs from our own history, and some of the background politics that I may have vaguely hinted at without ever explaining. If you’ve read any of these various stories (Paying the Tab, Jerome Goes North, Jerome’s Tropical Vacation, A Simple Misunderstanding, Rum Luck), you’ve already read something in this setting. Exposition follows below. I seriously underestimated the amount of time it would take me to post a piece of world background for some of my stories. It’s not like I don’t already know it, I just didn’t realize how much of it I actually wanted to share in one post, or how long it would take to write it. I plan to have that out for you tomorrow, but for now please accept my apologies for the delay. Tobias Buckell has made me very happy indeed. I can’t decide whether I prefer Arctic Rising to Hurricane Fever, and I really liked Hurricane Fever (seriously, read my review). It’s rare that I have the pleasure of reading a fast paced high-tension thriller set in a brilliantly developed near-future, let alone reading two of them back to back. Buckell’s world-building is a tremendous draw for me. It’s quality shines through in the ease with which he introduces the near-future to the reader; he keeps his obvious enthusiasm for the world he’s created tightly leashed, only revealing it in dribs and drabs, more often than not as an in-character rumination or observation that feels entirely appropriate. Better yet, I didn’t find any gaping implausibilities. I’ll admit that I didn’t take a fine-toothed comb to the books and their established background, but they hold together well enough to offer a compelling (and somewhat distressing) view of an imminent future. If you want to treat yourself to a jaunt down “doesn’t this seem likely…” lane, and you want some hair-raising hijinks in the bargain, try either of these books. 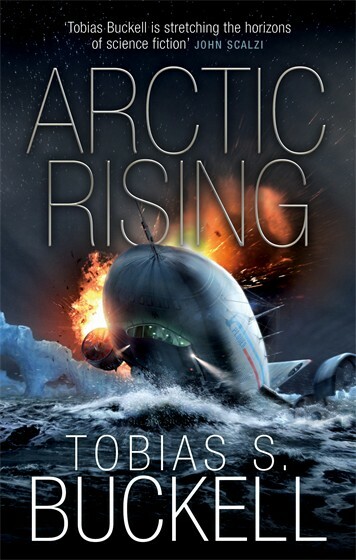 If you don’t want to be spoiled for either book before you read it, be sure to read Arctic Rising first, though I did it in the opposite order and still enjoyed myself immensely. I first heard about this book through Scalzi’s Big Idea feature on his blog. I was captivated by Buckell‘s premise, a spy novel set in the Caribbean with a protagonist who actually lived and grew up there instead of simply going there to vacation, infiltrate, or establish a villainous lair. It pays special attention to what it’s like to have your home relegated to the status of a playground for the wealthy, and how a pan-Caribbean federation might look in the near future. 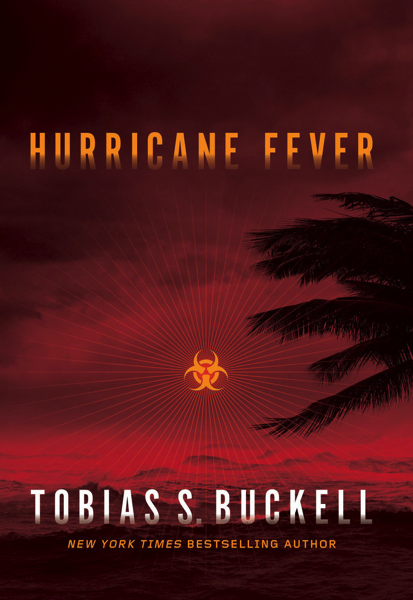 Hurricane Fever is a fast paced delight that delivers on its premise and offers the best Bond movie I’ve read in years. It’s a violent and active spy-thriller, and one in which the main character is more often mistaken for a member of the waitstaff than a tourist. I found it both engaging and refreshing, and now I want to read Buckell’s other work. Read on for more detail. Don’t worry, I’ll protect you from undue spoilers.